Coru Cathubodua Priesthood affirms an inclusive, diverse Celtic Polytheism. We respect and welcome all persons regardless of color, ethnicity, age, ability, religion, size, class, perceived or actual sexual orientation, gender identity, and gender expression. We affirm that Celtic Polytheism is and must be an inclusive tradition, and that all people have inherent worth and inherent right to seek, study and honor the Gods, regardless of ancestry or any other personal quality. 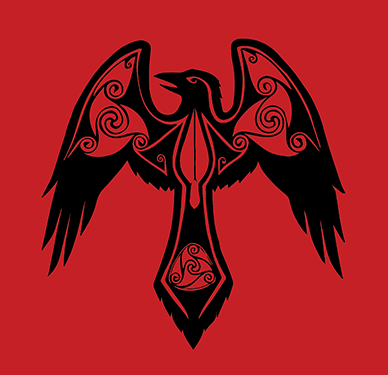 We affirm that “folkish” beliefs or any other attitude that preferences people based on European ancestry or white race have no place in Celtic Polytheism, nor will these attitudes be tolerated within our practice and community. We recognize ancestral powers, traditional folk practices, and the historical roots of Celtic Polytheism as spiritual wellsprings, not as prescriptive social norms, and we strongly reject their use as a means to exclude or marginalize people. Wherever these sources of tradition present threads of racism, classism, sexism, heteronormativity, and ableism, we affirm our right and our commitment to cultivating a more inclusive living tradition that supports all members of the community. Spaces we host and control are safe and consent-based spaces. Unsafe behaviors and words that target or marginalize people including but not limited to racism, sexism, ageism, classism, transphobia, homophobia, xenophobia, ethnicism, sizeism, ableism and other prejudicial and discriminatory behaviors will not be tolerated. This includes both physical and online spaces we host and control. We stand and we act in solidarity with People of Color, women, ethnic and gender minority people, and all those who suffer systemic oppression and prejudicial treatment in our society. We affirm the moral right and duty of religious leaders to take positive action to seek justice for the people we serve. We are committed to the active practice of justice and inclusivity, and to constantly striving to do better. We welcome feedback from our community to help us continually act in the service of all community members, and we are committed to listening.